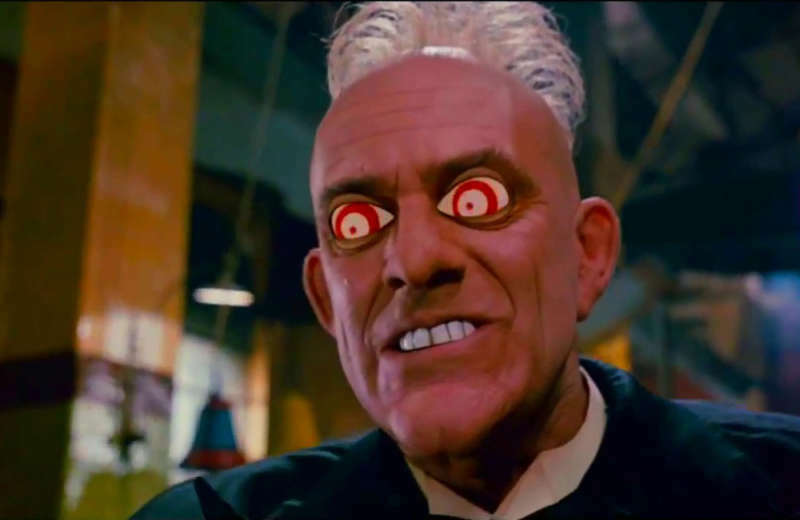 We’re so accustomed to the film being a beloved cult classic, but imagine how insane it must’ve sounded when someone first pitched Who Framed Roger Rabbit? The premise is ludicrous: In a world where cartoon characters and real humans mix, a gritty adult murder mystery embroils a hard-boiled detective and a screwball comic bunny and his smoking hot animated wife. Oh, and the macguffin is basically the plot of Chinatown. What? The unlikely story started with a 1981 novel entitled Who Censored Roger Rabbit? by Gary K. Wolf. Disney optioned the story almost immediately, but it took nearly a decade for it to make its way to the screen. Along the way there were countless bumps and bruises in the development process. For example, it was originally to be directed by Robert Zemeckis, but when his movies I Wanna Hold Your Hand and Used Cars bombed, Disney fired him and only hired him back after Back to the Future was a huge hit. Terry Gilliam — whose previous animation work was for Monty Python — was asked to take his place, but he turned the job down to his great regret later. Originally, Roger was to be voiced by Paul Reubens (the alter ego of Pee-wee Herman), and Russi Taylor (the voice of Minnie Mouse) was to play Jessica Rabbit. They went so far as to produce some test footage, and it’s hard to imagine the movie feeling right with this cast. Amblin Entertainment was brought in to produce the film — that’s Steven Spielberg, Frank Marshall and Kathleen Kennedy, all entertainment superstars with a sixth sense for what it would take to produce an excellent story. Spielberg in particular lobbied for the inclusion of animated characters from a wide range of corporate sources, predicting the licensing labyrinth of films like Wreck-It Ralph. It was an insanely expensive film. Disney slashed the budget back to $30 million — the most ever spent on an animated film — but as it rose past $40 million, Michael Eisner threatened to cancel it. He backed down due to the eagerness of other executives to work with Spielberg, and eventually the budget went up to around $70 million, the most expensive movie ever made at the time. Executives were also appalled by the film’s crude language, dark tone and sexual content, but Spielberg wielded too much creative control for them to do anything about it. At one point the Baby Herman character passed under a woman’s dress with a finger extended, and emerges with drool on his lip. The movie was a huge hit, and work began right away on a sequel. It was to be set in the years before the original film and would chronicle Roger Rabbit’s rise to stardom. A key plot point involved a struggling toon actress named Jessica Krupnick being kidnapped by Nazis and forced to make propaganda. That was the first roadblock in the making of the sequel. Spielberg had just finished making Schindler’s List and decided this wouldn’t be an acceptable followup. 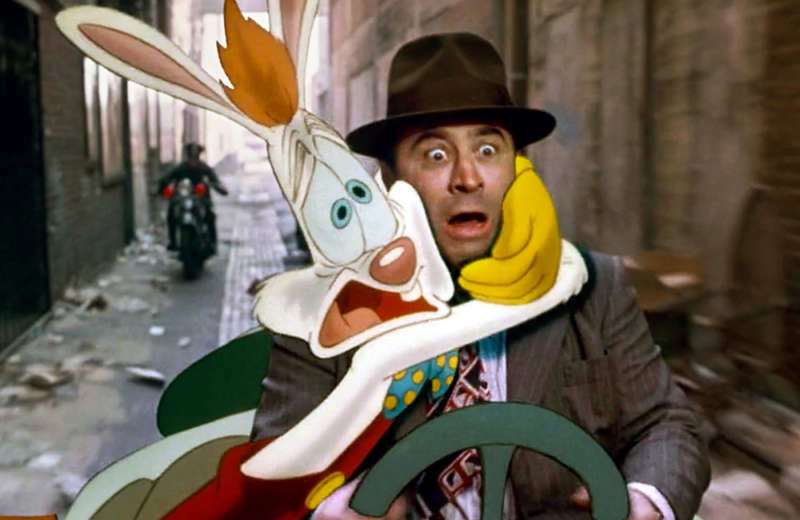 Additional sequels for Roger Rabbit have floated around Hollywood for 25 years but have always been derailed by something — the death of Bob Hoskins, changing audience tastes regarding 2-D and 3-D animation, the regular slog of big-budget filmmaking. At this point, it’s looking pretty unlikely that there will ever be a filmed sequel. 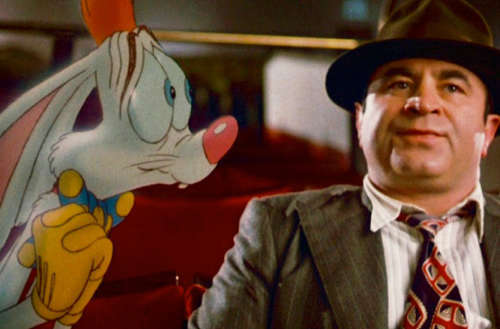 Fans who want to see further adventures with Roger Rabbit will have to stick to the two graphic novel sequels, Who P-P-P-Plugged Roger Rabbit? and Who Wacked Roger Rabbit? — but you never know. For almost a decade it seemed impossible that even the original film could be made. 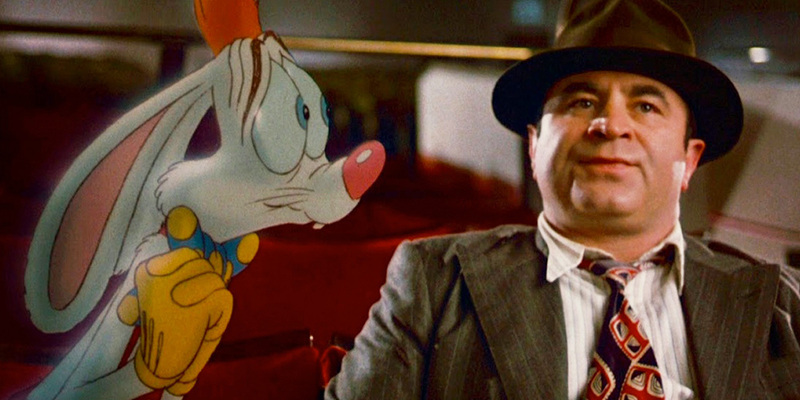 Are you a fan of Who Framed Roger Rabbit? Did you know about its backstory? This story was originally published on March 19, 2016.